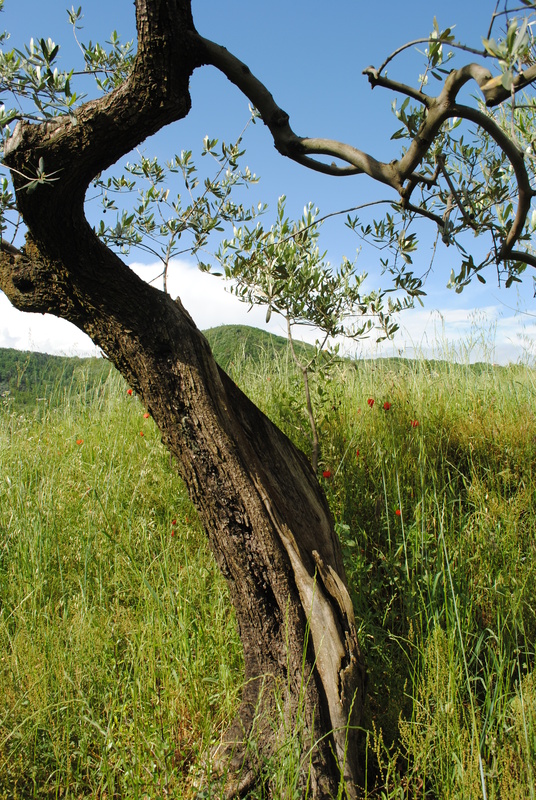 Split and scarred by winter cold, dried and hollowed out by the sun, and twisted by the wind, the trunks of our olive trees reveal their histories. 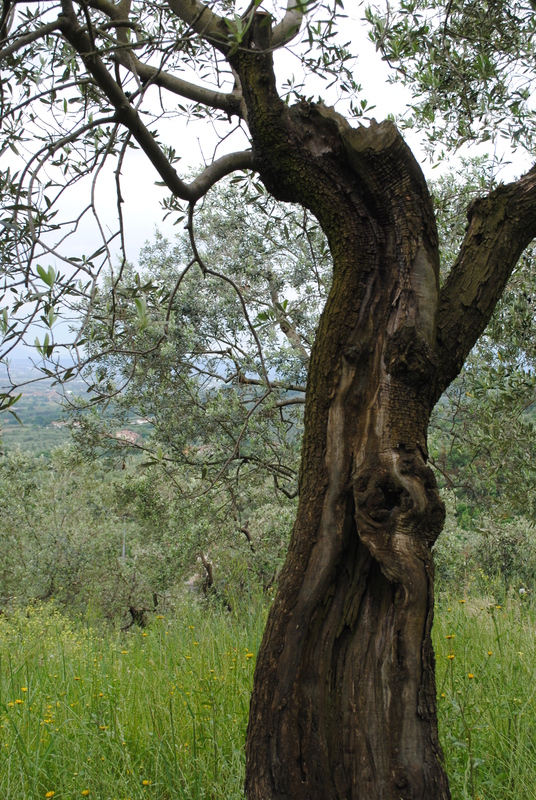 While olive saplings grow straight and true, the gnarled and knotted trunks of older trees contort themselves into strange shapes, seemingly growing in every direction but straight upwards. 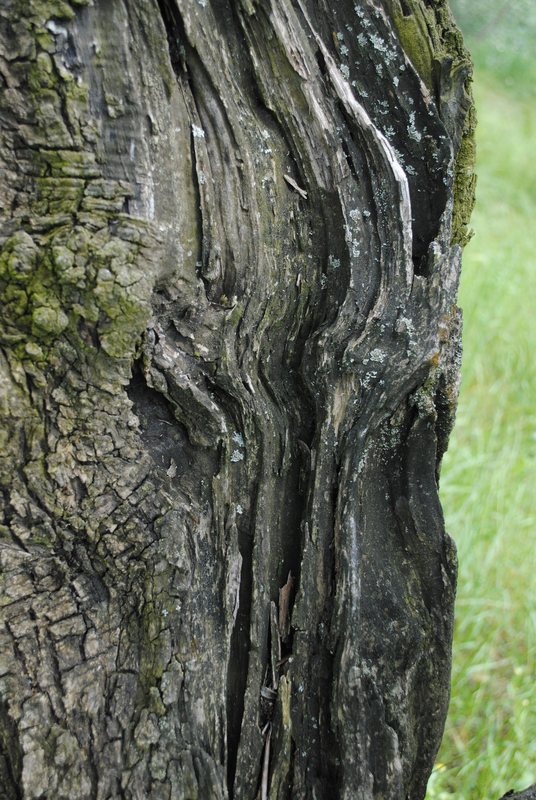 As they age, their once silvery-smooth bark crinkles and cracks. 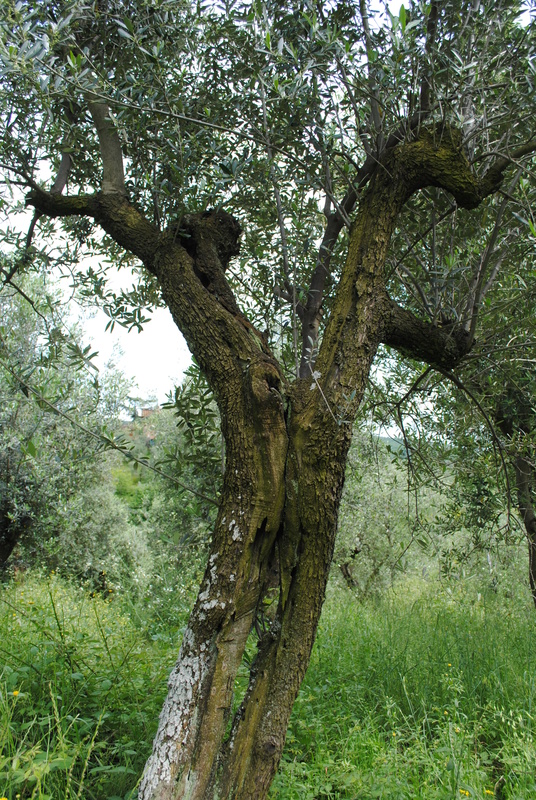 Every olive tree is unique – to me each has its own personality. 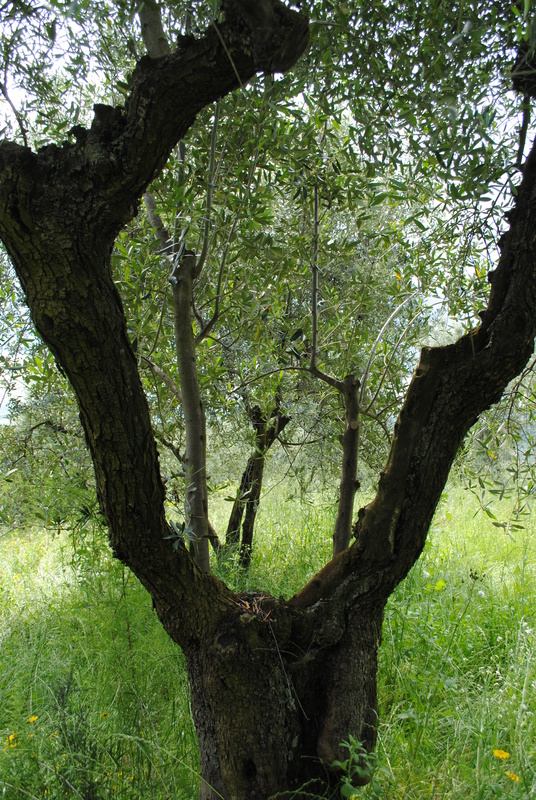 Above all, I love they way they resist the imposed formality of the olive grove with its terracing and neat spacing, giving the grove a pleasingly disorderly appearence. 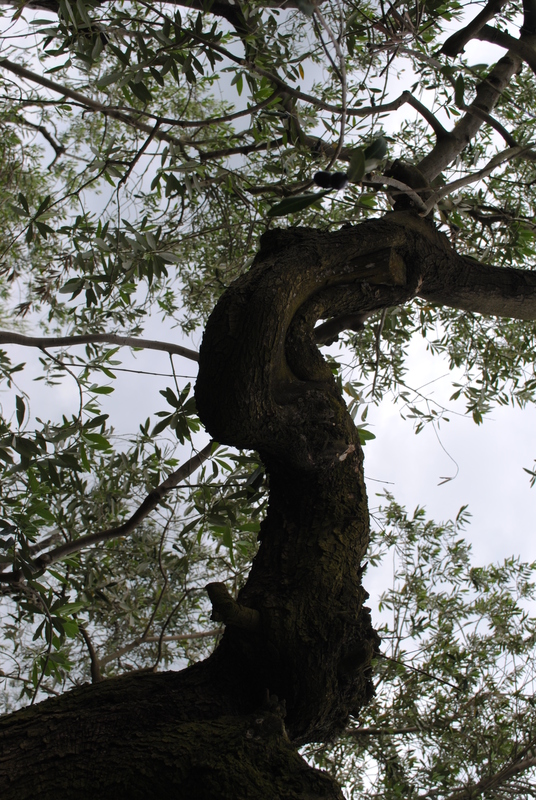 Wonderful trees – mine are mere striplings by comparison – the oldest being just 6 years old! When would they really start producing I wonder? I think that roughly, they should first start producing fruit at 5 – 7 years, then produce a more substantial amount by about 12 – 14 years… I imagine it depends on the variety though. How lovely that you’ll be able to track their journey to maturity! Soooo beautiful! so ‘ alive ‘ as person, they grow and they get older as we do !their skin is getting full of wrickes as ours but not for this they are less handsome..thank you for sharing! have a great day, Miky. Absolutely, I really feel an affinity for them. Their characters really develop over time – I hope to age as gracefully as them! They’re wonderful aren’t they, so much character, and only more so as they age. Glad you enjoyed the photos. Yes, there is something almost supernatural about them. They look full of personality and strength. I enjoyed your photos. Glad you enjoyed them! They are so full of character. Great photographs! Yes, these trees have an almost otherworldly beauty, like they should exist in a fairy tale. I’m happy that you enjoyed the photos, not the same as wondering among them, but hopefully enough to spark dreams or memories of these wonderful trees. 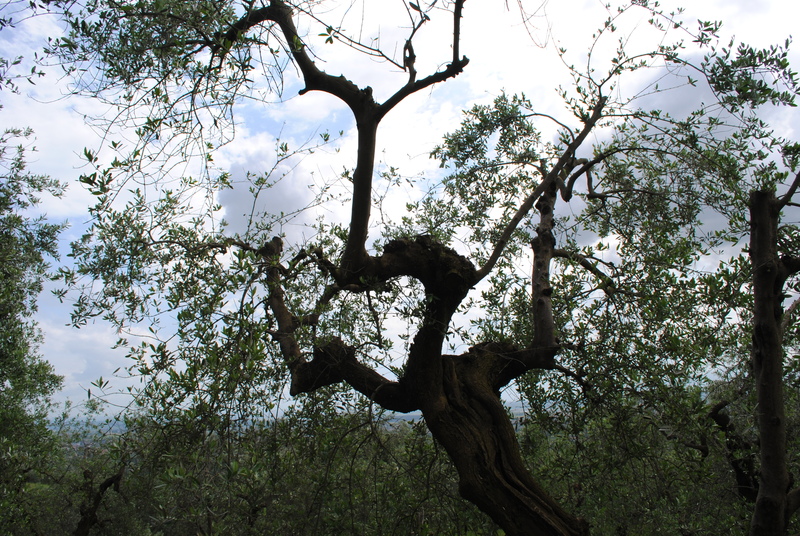 Olive trees are so photogenic. Yours are lovely! They are gorgeous aren’t they! 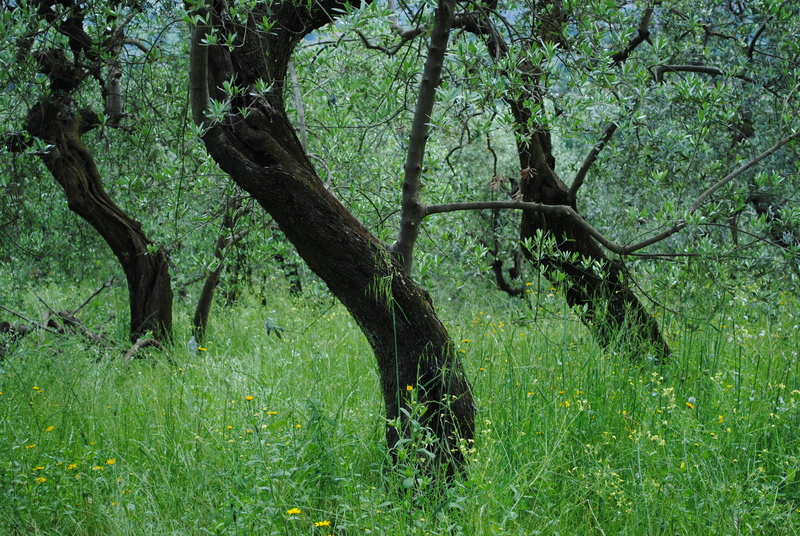 I feel rather like your olive trees much of the time, especially after the British winter. And there’s nothing wrong with being a bit disorderly, especially when you’re over 40! Absolutely! 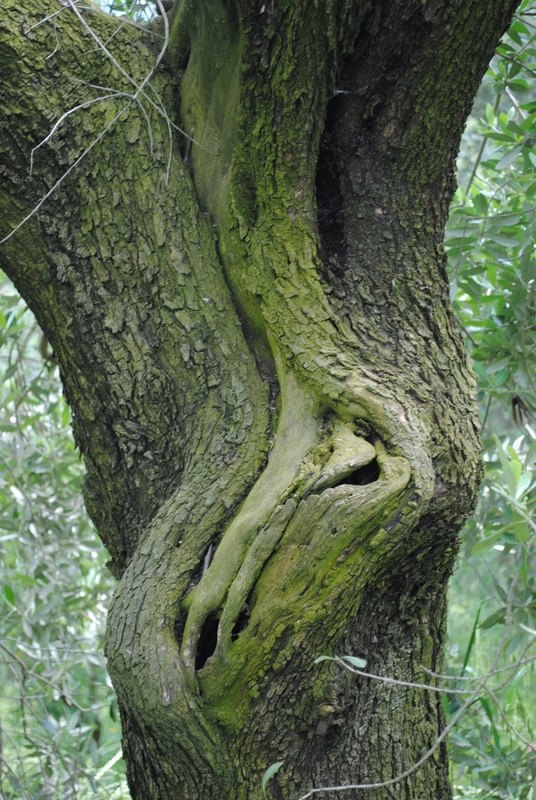 I think we could all take a lesson in ageing honestly, but gracefully, like these trees. 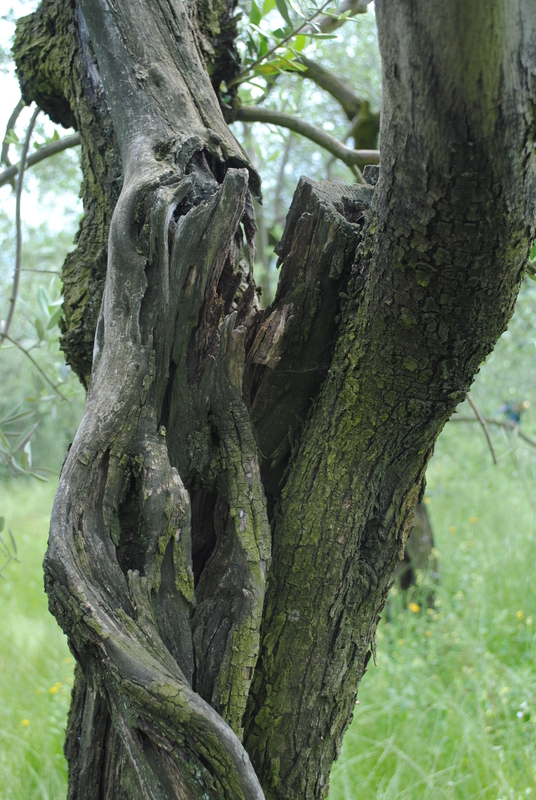 The old trees, hunched and dishevelled, are much more interesting than the young upstarts. 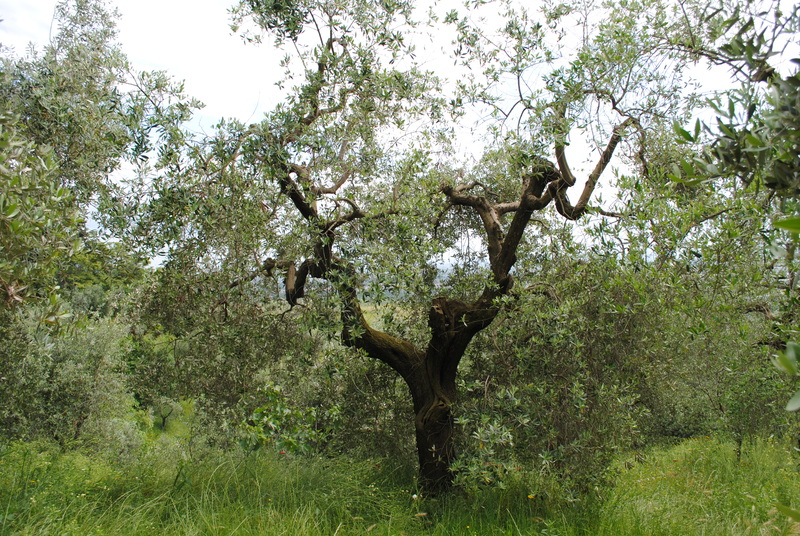 Owning an olive grove is akin to having a much loved herd of cows, all with their own personalities. The best thing is you are unlikely to have to say goodbye to one during your lifetime….. Yes, I think of us as temporary caretakers rather than owners- lucky enough to be able to care for these trees for a while, knowing that in most cases they predated us and will outlive us. Nicely put, and then there’s the lovely cold pressed oil! ps easy to forget that they are in fact shrubs not trees! Yes they just have so much personality, I think. Thank you! Writing the blog has been great way to record observations, memories,photos… Glad you’re enjoying it. Gorgeous – really enjoyed the photos! How fortunate to live amidst such leafy, twisted splendor! Thanks! Yes, they’re gorgeous creatures. Thanks for mentioning our blog!